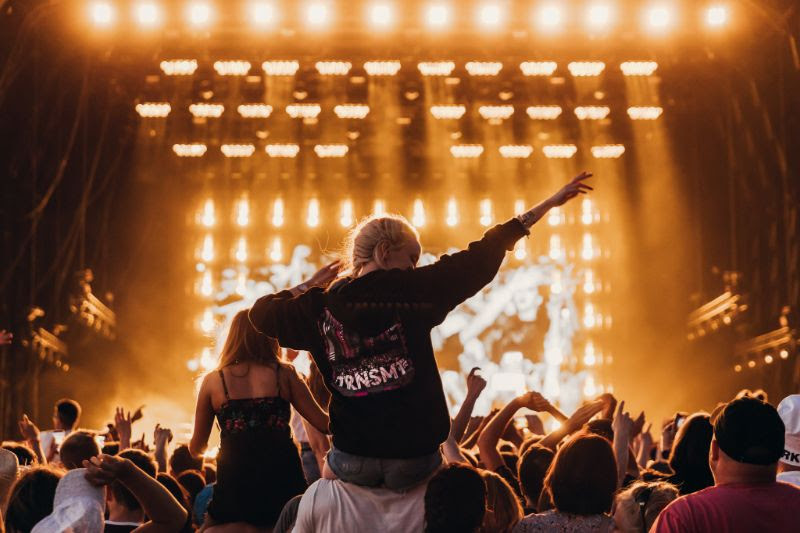 Scotland’s biggest festivals will bring international acts to the country’s most vibrant cities this summer as TRNSMT Festival plus Glasgow + Edinburgh Summer Sessions bring including Stormzy, The Cure, Florence + the Machine and much more to both cities this summer, meaning Scotland’s musical offering is bigger than ever. 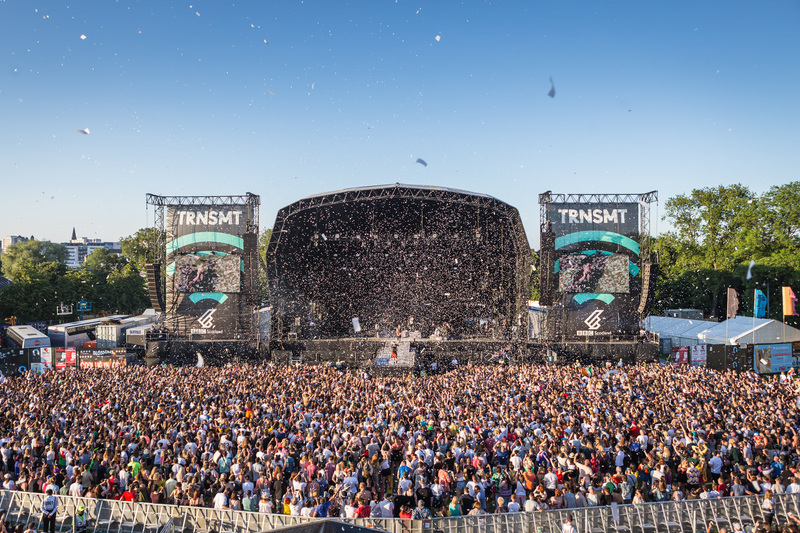 TRNSMT Festival takes place in Glasgow Green from 12th – 14th July, offering world class food and drink offerings as fans enjoy sets from Stormzy, Catfish and the Bottlemen, George Ezra, Gerry Cinnamon and Snow Patrolplus some of the biggest breakout stars in the industry including Sigrid, Sam Fender, Jade Bird, Sundara Karma, Fontaines D.C and more. 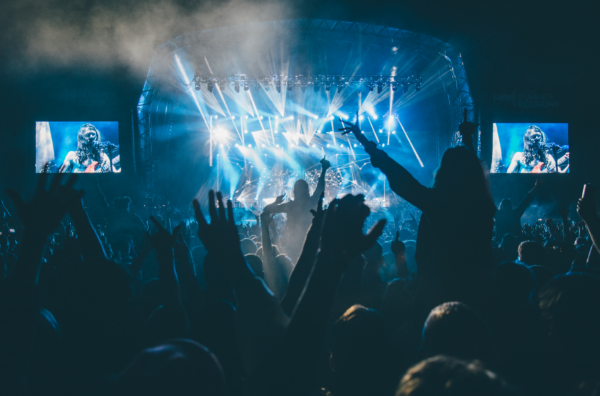 Music fans also have Glasgow Summer Sessions to look forward to, as the festival returns to Bellahouston Park for possibly its biggest year yet. 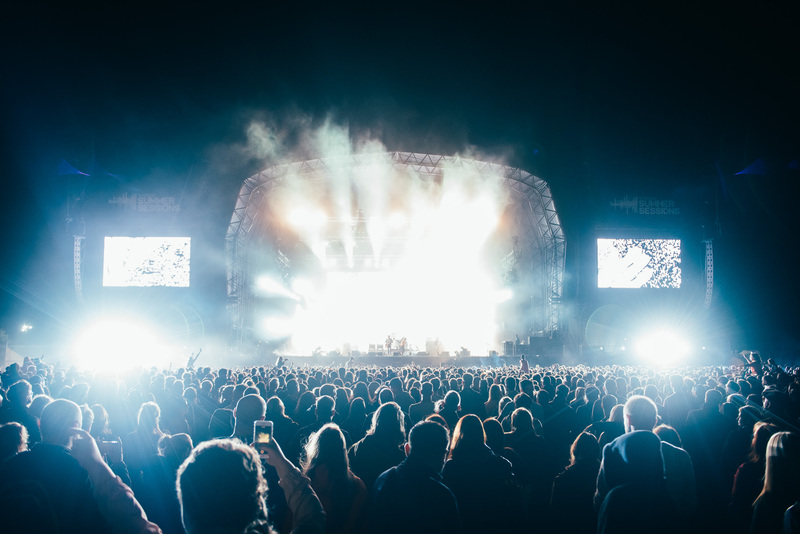 The Cure will return to Scotland following a 27 year absence, Foo Fighters will play a sold-out show and Britain’s biggest export The 1975 will close the festival, following an outstanding year which sees them set to release two massive albums. 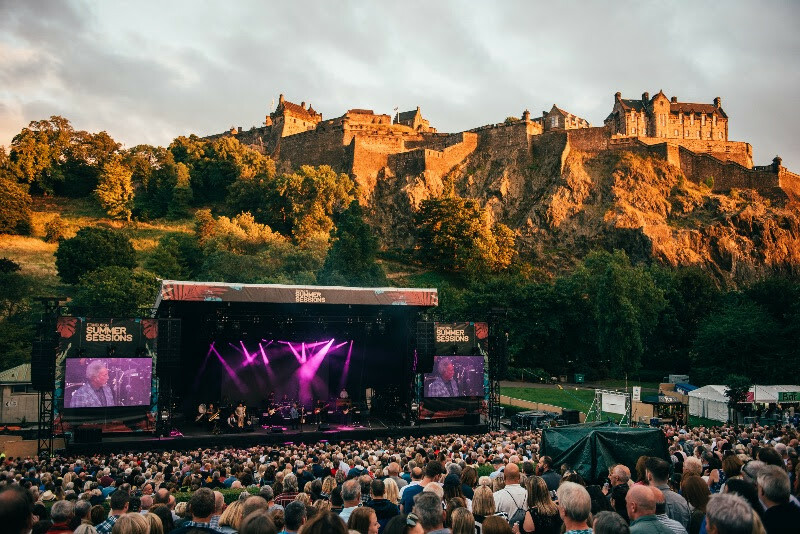 The capital city will also enjoy an incredible NINE days of music as Edinburgh Summer Sessions returns to the iconic Princes Street Gardens, with a backdrop like no other, of Edinburgh Castle. Headliners include Florence + the Machines, CHVRCHES, Primal Scream plus the current UK number one holder Lewis Capaldi and more, for a truly unforgettable, intimate gig during Edinburgh’s buzzing festival scene in August. 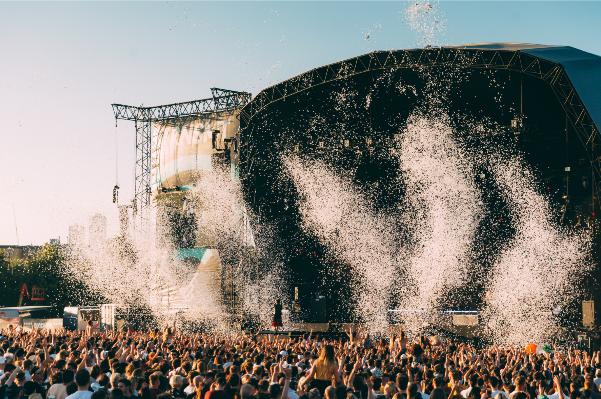 Glasgow Summer Sessions, now in its 7th year, see three huge headliners taking the stage this summer at Bellahouston Park. Starting with a bang, The Cure, following a 27-year absence from the Scottish live scene, make a return to Glasgow on 16th August. The band’s appearance at Glasgow SummerSessions is part of a very select and special run of headline spots at major festivals all over the world during 2019 to celebrate a career now entering its 5th decade, making this a show that you definitely will not want to miss! On 17th August, rock band, the Foo Fighters will return to Glasgow. Four years since their last performance in Scotland, the Foo Fighters, who are one of America’s biggest rock bands, are set to entertain the Glasgow crowd with a euphoric, rock-fuelled set. This will be a Saturday night to remember for the lucky fans who managed to bag a ticket to the SOLD OUT show! Following an incredible sold-out show at The SSE Hydro in January, The 1975 return to Glasgow on 25th August. Cementing their position as one of Britain’s biggest and most exciting bands, and following a headline tour around the UK, The 1975 are showing no signs of slowing down. Having released consecutive era-defining, chart-topping records since 2013, The 1975 are sure to put on a show-stopping performance at Glasgow Summer Sessions that will leave you wanting more. Please access GSS 2019 artist shots and 2018 hero images here. Edinburgh Summer Sessions makes a comeback for its second year in 2019. Held at the Ross Bandstand with a mesmerising backdrop of Edinburgh Castle behind it in Princes Street Garden, the line-up features trailblazing female talent and legendary greats. Starting Edinburgh Summer Sessions off, Florence + The Machine will play two consecutive shows on 7th and 8th August. With their first Scottish show since last summer, where they played an epic show for the V+A opening in Dundee, Primal Scream headline on 10th August. Taking the stage on 11th August, synth-pop maestros CHVRCHES, make their comeback to the capital almost 5 years since their last performance in Edinburgh, this is a unique chance to catch the band play at an iconic venue in Scotland. A new addition to the bill, Scottish singer-songwriter and the man of the moment, Lewis Capaldi makes his Edinburgh Summer Sessions debut at two sold out headline shows on 13th and 14th August. Bringing incendiary new songs and some of their classics of the past three decades to Edinburgh Summer Sessions, James, one of Britain’s most celebrated and enduring bands will play on 15th August. On 16th August, Manchester band, the Courteeners are set to take stage following their epic performance at last year’s TRNSMT festival. Making their debut at Edinburgh Summer Sessions, pop band, Madness will round off the party on 18th August. Celebrating their 40th Anniversary, the band are expected to bring big, bold sounds and sax solos as they play all their classic hits. 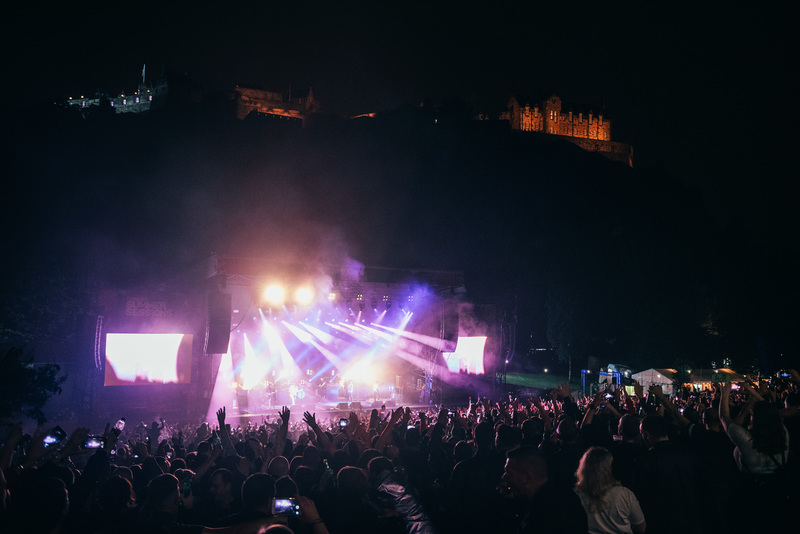 With the International Festival and The Fringe adding to a buzz in the air, Edinburgh Summer Sessions is the perfect excuse to celebrate some of the biggest acts in the world. Edinburgh is the place to be in August and you won’t want to miss out! Please access ESS 2019 artist shots and 2018 hero images here.